Monday March 31st 2014 saw the latest locomotive to arrive at Chasewater, this being a 107 hp 0-4-0 diesel built by Baguley of Burton-on-Trent, works number 3590 of 1962. The loco was delivered new to the brewery giant ‘Bass’ again, of course, in Burton-on-Trent. The loco cost £8,939 new. 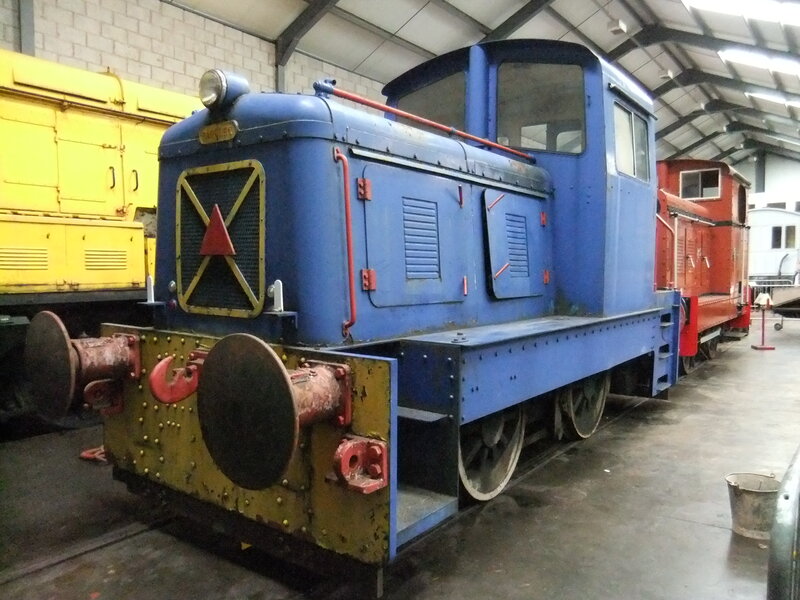 Eventually Bass discontinued use of their railway system but No.11, as the loco had become in the fleet at Bass, being relatively new was sold on for further use at Wagon Repairs Ltd., Port Tennant, West Glamorgan, leaving for its new home in March 1968. In 1998 the loco was sold to Staffordshire Locos and eventually resold again to Mr. Trevor Smith, who kept it in his yard off Engine Lane, Lye. The loco has been purchased and eventually will see further use at Chasewater. Some of the above information was taken from the excellent Industrial Railway Society publication ‘Burton Brewery Railways’, author Cliff Shepherd.